Enter, BFree Foods. Things have become SO much friendlier for those with dietary intolerances and BFree Foods is one of my gluten-free go-to goodies! The best thing now is that the alternatives to bread/dairy/meat/etc are of such high quality that even those who don’t HAVE to eat that way often CHOOSE to because they taste just as good (if not better) and are generally healthier options. While I do miss a good French sourdough loaf (I lived in Paris for a year before I found out, thank goodness), I wouldn’t often eat wraps when I could eat gluten but I LOVE BFree Foods’ innovative, healthy range because I use them not just as wraps but as tacos/burritos and, more recently, DESSERT CREPES!!!!! 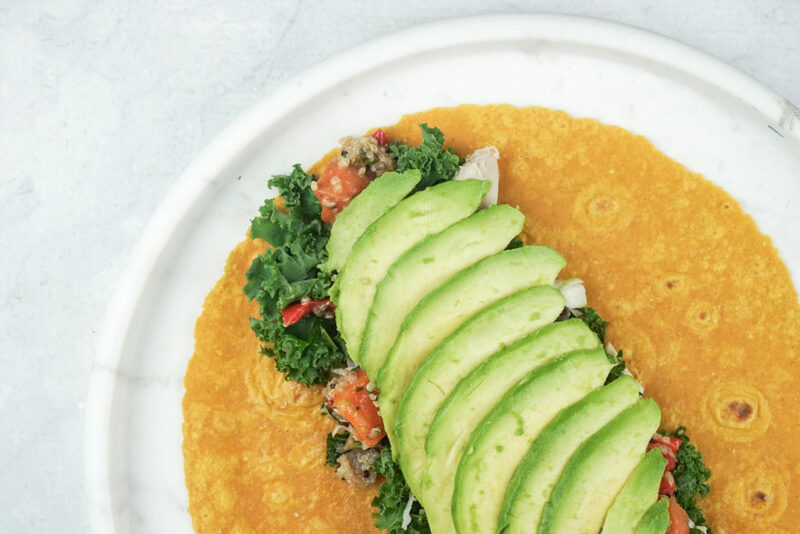 There are three products available in all Woolworths Stores – BFree Multigrain Wraps, BFree Quinoa & Chia Seed Wraps and, personal favourite, BFree Sweet Potato Wraps (all $7.99). The Sweet Potato Wraps are only 95 calories per wrap and Multigrain are only 99 calories per wrap (not that I count calories, but it’s great to know they’re a light option. 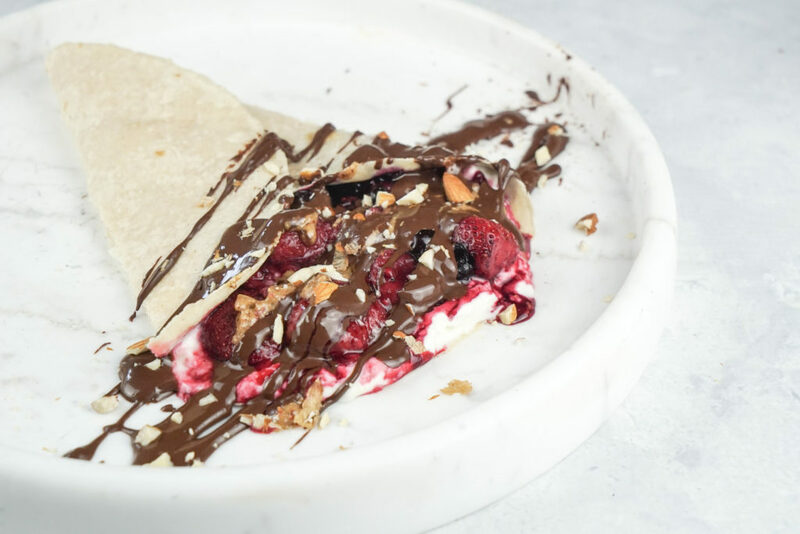 My two favourite staples lately are the below chicken, kale and quinoa salad sweet potato lunch burrito and a delicious brekky dessert invention – a berry, peanut butter, chocolate multigrain crepe filled with goat’s yoghurt and topped with crushed nuts. TO DIE FOR!!!!! Neither of them have recipes – you just fill the wraps with whatever you feel like, sweet or savoury, and then roll whatever way you feel like on the day! NOM!